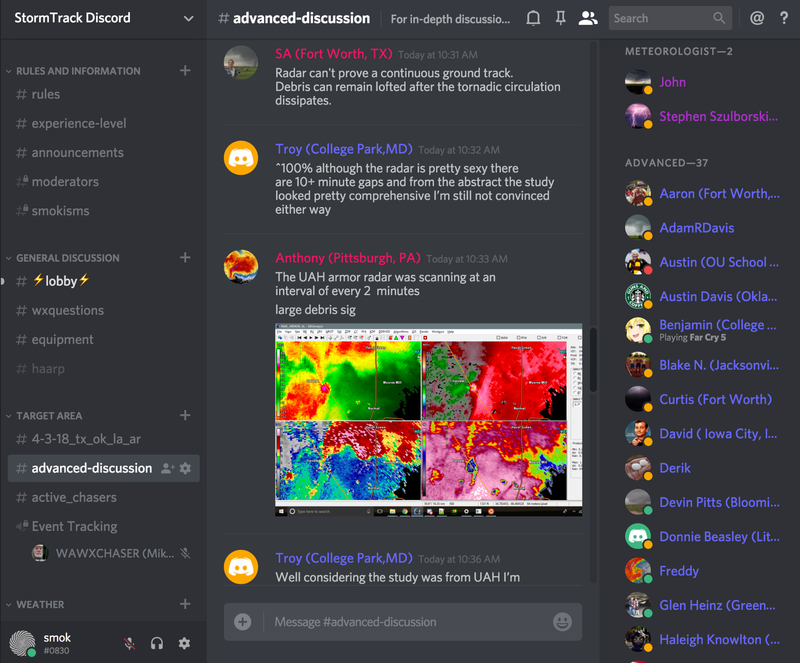 In January, Stormtrack staff introduced the Stormtrack Discord. What is Discord, you ask? It’s a brilliant cross between live chat and a forum. It boasts similar topics as the Stormtrack Forum, but in a completely fresh format that can be compared to that of Slack or Hipchat. A simple interface you can install on your PC, Mac, Android or iOS device. Stormtrack Discord caters to the new generation of weatherers. It’s already 550+ members strong, filled with people from all over the world who like to talk about the weather, and especially storm chasing. Stormtrack Forum and all of its content isn’t going anywhere. We plan to integrate Discord into the forum platform later in the year.